Conventional wisdom is that Twitter is the essence of the real-time web: a here and now, in the moment medium. If you’re tweeting when your followers aren’t online, then they won’t see those tweets. That’s how the thinking goes. In May, I tweeted about the San Jose Sharks. A few times this week, users have “favorited” that tweet. The NHL season is long over. In fact, what’s getting “favorited” was a tweet from May 19th, well over a month ago. The conclusion? Your tweets can live on for far longer than you think. Let’s consider ten ways that can happen. 1) “Activity” on your tweet from other users. When you access the “Activity” area on Twitter.com (Home -> Discover -> Activity), you see activities taken by the people you follow: whom they just followed, what tweets they favorited, what tweets they retweeted, etc. If someone came across your “old” tweet and favorited it, that becomes a form of “re-promotion,” as that activity can be seen by many others. Because of hash tags, search, etc. the “favorite” (and all of the subsequent favorites) may come from users who don’t even follow you. 2) Views of tweets on your profile page. Active tweeters get noticed, which leads to “views” of their Twitter profile pages. On my Twitter profile page, you can see all of my recent tweets. When you scroll to the very bottom of the page, you’ll notice an “endless scroll” feature, where the page updates with the next set of tweets – and this continues on and on, the more you scroll. So in this manner, you can find my San Jose Sharks tweets from May, if you’re willing to scroll that much. 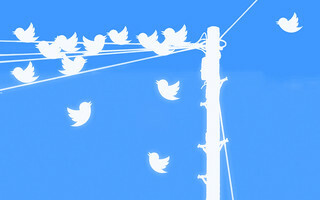 While Twitter is central to the real-time web, tweets can live on (beyond real-time) in a number of ways. See what I did (above)? I used a Twitter Card to embed a tweet in this blog post. These cards make it super convenient for writers, bloggers, etc. to re-publish tweet content. And the card makes it easy to reply, retweet, etc., directly from it. 4) Getting a Retweet (RT). Users who retweet (RT) re-surface your tweet to all of their followers. While the RT will preserve the timestamp of your original tweet, the tweet will appear in timelines based on the time of the retweet. The tweet from last week that you thought was forgotten? It could gain a new life via an RT. 5) Search (and hash tags). Twitter users will often perform searches. They might be looking for something specific – or, they may like to “follow” a hash tag. To follow the popular #eventprofs hash tag (for meeting and event professionals), you’re actually performing a Twitter search. And people checking out #eventprofs activity may see your tweet from one week ago (or perhaps one month ago). Users (and brands) can buy a form of Twitter Ads called Promoted Tweets. They select from existing tweets and mark them for promotion (advertising). In this way, they’re able to take “old” tweets and can keep them “top of mind” by advertising that tweet. As you can see above, the tweet promoted by Samsung Mobile was posted over a month ago. Celebrities have been receiving a lot of notoriety lately with their use of Twitter. When a celebrity tweets something controversial or inappropriate, they’ll often delete the tweet or shut down their account altogether. The “undo button” doesn’t entirely work on Twitter, however, as users can take screen shots of the tweets (for posterity). See this Huffington Post article on Alec Baldwin, which mentions his inappropriate tweets (including a screen shot of them). 8) Being seen in a Twitter List. You’ve probably been added to one or more Twitter Lists. I have a Twitter List of people I’ve met in real life. As users discover new Lists and peruse the related tweets, they may find tweets (of your’s ) from weeks or months earlier. 9) Being seen in a user’s Interactions list. If you “mention” other users on Twitter, you’ll appear in their “Interactions” area. Twitter users LOVE to see mentions and interactions. So a tweet you consider old may live on in another user’s “Interactions” area. Don’t be surprised if you receive a reply today from your tweet from last month. 10) The Library of Congress. Via a partnership with Twitter, the Library of Congress is building a digital archive of tweets. In January 2013, the Library of Congress announced that they had archived 170 billion tweets! So behave yourself: your tweets are now a matter of public record in the annals of the Federal government.